Last autumn, Schell’s released Fresh Hop Citra Pils as part of its massively successful Stag Series. The beer was received with so much success they’ve decided to brew a fresh hop beer every fall. A new annual tradition we can all look forward to! The Schell’s Fresh Hop Pilsner Series will be brewed each year during the pinnacle of the hop harvesting season. Fresh hops contribute aromatic oils and resins that add a unique flavor to the beer. The fresh hopped beers will be brewed in very limited amounts, only 100 barrels will be produced. This year’s Fresh Hop beer will be a pilsner that is single hopped with Mosaic hops. The Mosaic hop gives a variety of flavors and aromas to the beer, hence the name Mosaic. A fairly new hop variety, Mosaic hops are the love child of Simcoe and Nugget hops. The hop variety can be described as complex blend of floral, tropical, fruity, and earthy flavors. 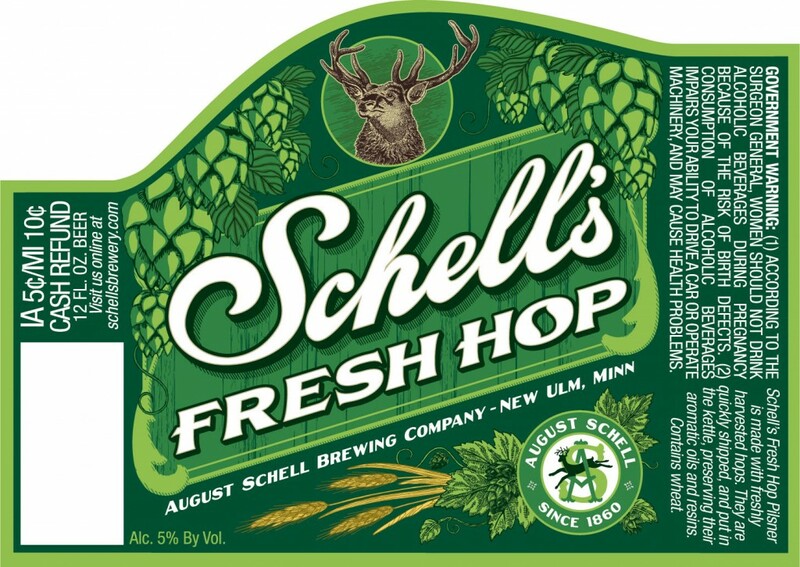 Look for the Schell’s Fresh Hopped Mosaic Pilsner in kegs and 6-packs. Keep ’em cold and drink ’em fast. This beer is all about the freshness.